DIY is a great way of making you feel like you have accomplished something on those lazy weekends. However, doing it yourself takes on a sense of real panic when you know you are going to be attacked later in the night by the undead. Let Epic Games tell you how to set up your traps in Fortnite. The latest video for this upcoming 4 player online co-op PC title is a meaty Development Diary from the Epic Team behind the game. At over 50 minutes you get a real insight into how developers decide on concepts such as trap and weapon strength, so that the gameplay remains well balanced. Discussion about how weapons and traps function within Fortnite. 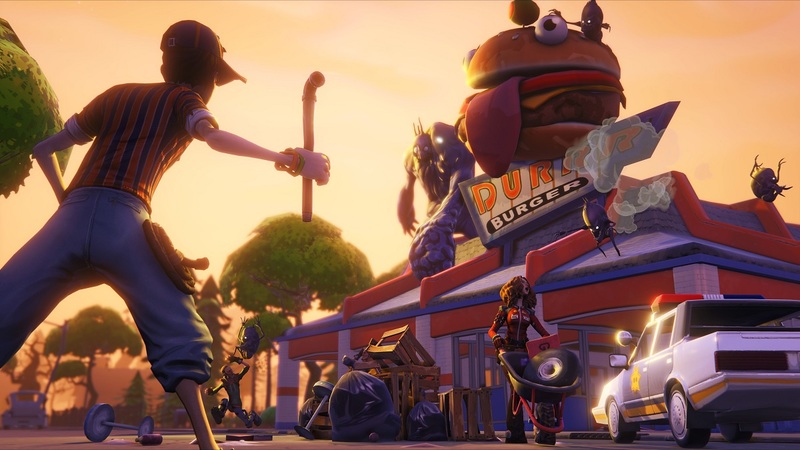 Systems Designer, Cameron Winston takes us through the design process of creating weapons and traps within Fortnite. During this show we showcase gameplay that explains how some of the weapons function and build traps designed to show emergent gameplay. The release date for Fortnite is still TBD, but should be sometime in 2015. This just gives you plenty of time to get the hammer and nails out to make sure your house is sturdy enough to survive a zombie attack. Page created in 0.3043 seconds.